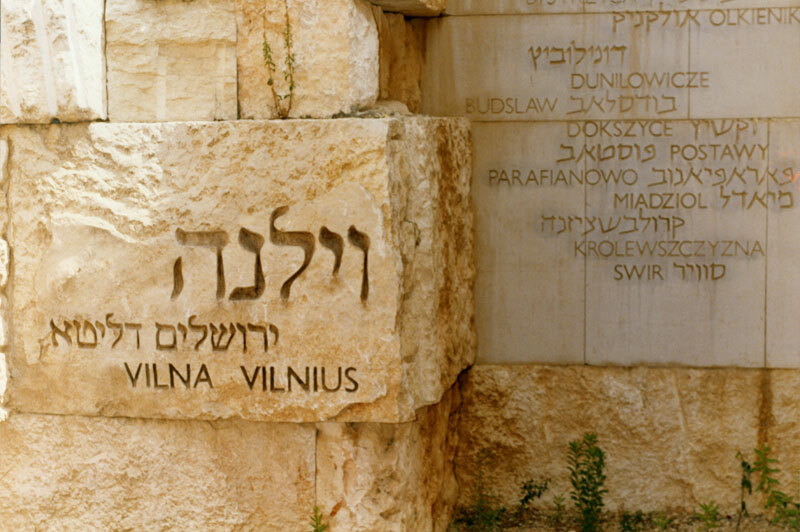 The Valley of the Communities at Yad Vashem is a site in which the names of over 5,000 Jewish communities that were destroyed or barely survived in the Holocaust are engraved on its 107 walls. Each name recalls a Jewish community which existed for hundreds of years; for the inhabitants, each community constituted an entire world. Today, in most cases, nothing remains but the name.